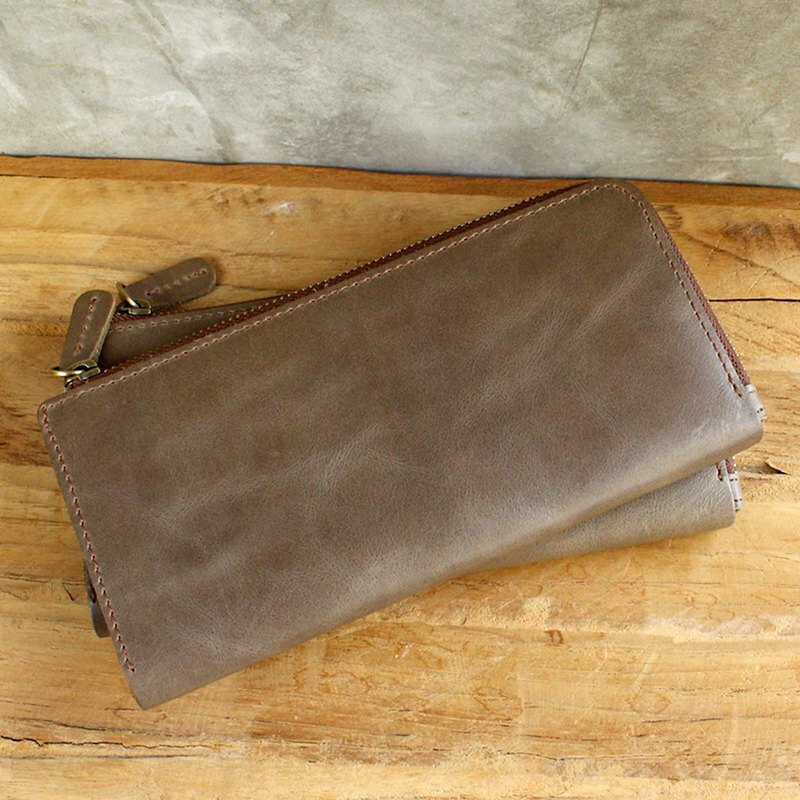 Wallet - X1 Original wallet and mobile phone bag designed to store your essentials. Very Light Weight !!! Long Wallet / Mobile Phone Bag - X1 Original wallet and mobile phone bag designed to store your essentials. Zipper closure ensures all your contents stay inside. This multifunctional purse offers space for cards, notes and mobile phone. The high-quality YKK metal zipper is easy to open and close. and .... It's Veryyy Light Weight !!!! *** just fill 6 cards and the wallet will get into shape ^___^ , easy to use and will not add too much weight to your bag. Specifications: - 2 slip pocket for notes - 6 card slots - middle compartment for mobile phone , you can put up to 7 inch big screen mobile phone (in the picture feature 6.5 inch screen mobile phone) Size : 10 x 20.5 x 1.8 cm. Color : Khaki Grey **Please allow for some variation in color as displayed on different devices and screens. Actual colors may vary. Material : Genuine Cow Leather , YKK zipper Expected Delivery Date : For Taiwan , Hong Kong and Macau destination, your orders are estimated to arrive within 7-14 business days.